Applique mod. 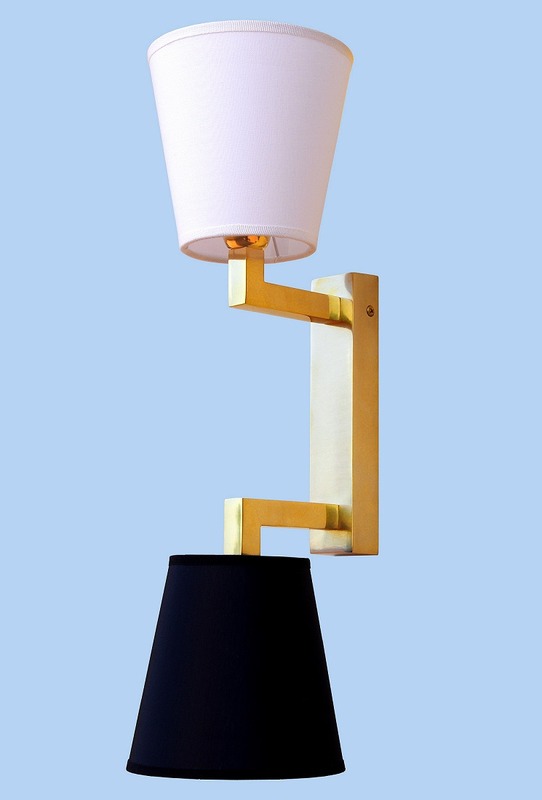 Dalia 2 lights In Line is solid brass with antioxidant treatment. the base vertically or horizontally as you like. with large selection of materials, colors and trimmings. Dimensions with lampshades: heigth cm 48 - width cm 14 - depth cm 18.